December 9th was a chilly morning. 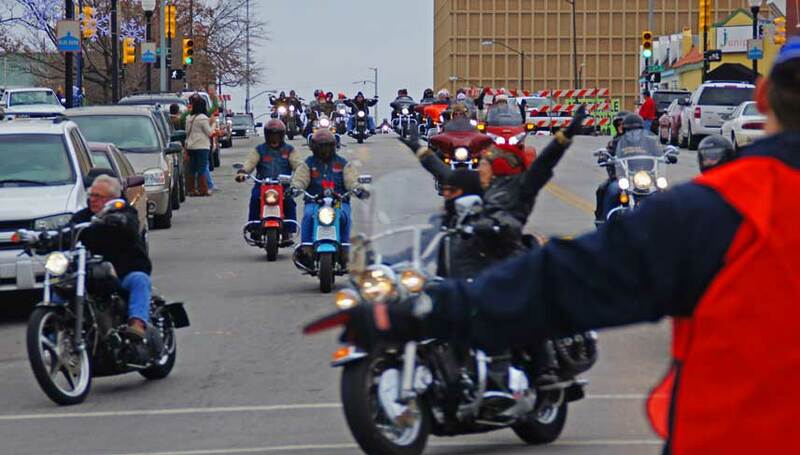 But not too cold for thousands of motorcyclists to descend on Tulsa's Expo Square for the 33rd annual Tulsa Toy Run sponsored by ABATE. We've been participating since 1999 and were proud to ride along again this year. Mayor Dewey Bartlett led the procession along Cherry Street to the Blue Dome District. From there the gifts were handed over to eager marines representing Toys for Tots. Here's a video showing a few highlights along the way. We hope you enjoy it- and wish all of you a happy holiday season and a wonderful 2013.